Cupcakes, Ice Cream and More! We bake and frost 13 signature flavors every morning, fresh from scratch. In addition, we feature seasonal and special flavors. We make 12 flavors of small-batch ice cream each week. The ice cream flavors are a rich and creamy take on our popular cupcake flavors. 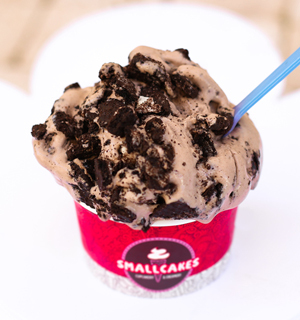 If you want yummy cupcakes and ice cream, come to SmallCakes located at the Medallion Center in Lakewood neighborhood in Dallas.